This is an iPad Pro, believe it or not. The Apple Smart Keyboard Folio for the 2018 iPad Pro is slim, lightweight and very useful. It’s also ugly as a mud fence. Slickwraps makes an array of “skins” designed to improve the appearance with bright colors, simulated wood grain or other options. We tested this device cover to see whether it really enhances this iPad Pro add-on. Read on to find out how it did. The Urban Armor Gear Metropolis is both a protective case and an iPad Pro stand. The latest rugged folio case from Urban Armor Gear protects the 2018 iPad Pro models without adding too much bulk. The Metropolis also adds some industrial style, and it includes an Apple Pencil holder. Don’t miss our review of this rugged folio that starts at $59.95. The launch of the 2018 iPad Pro gave Apple a stellar holiday season in tablet sales. iPad shipments grew by double digits last quarter, giving Apple its best holiday period for tablet sales since 2015. 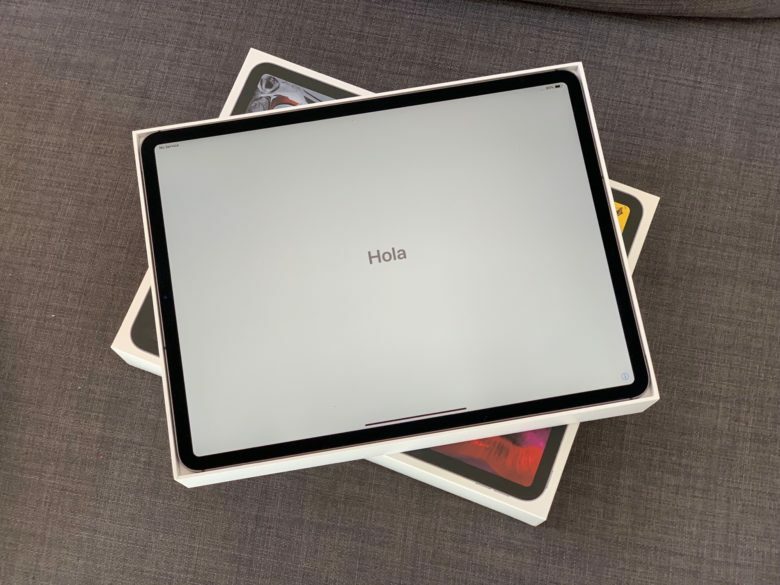 Shipments of slates and 2-in-1s had dropped earlier in the year, but analysts correctly predicted this was the result of people holding off for the new iPad Pro. Some of Apple’s rivals also saw gains at the end of 2018. Dodocase Two Tone looks right at home in a classroom or coffeeshop. The Dodocase Two Tone brings a retro look to iPad or iPad Pro. You could almost write “Trig” on the cover in Magic Marker and feel like you’re in high school again. And this case is very lightweight while still doing double duty as a stand. 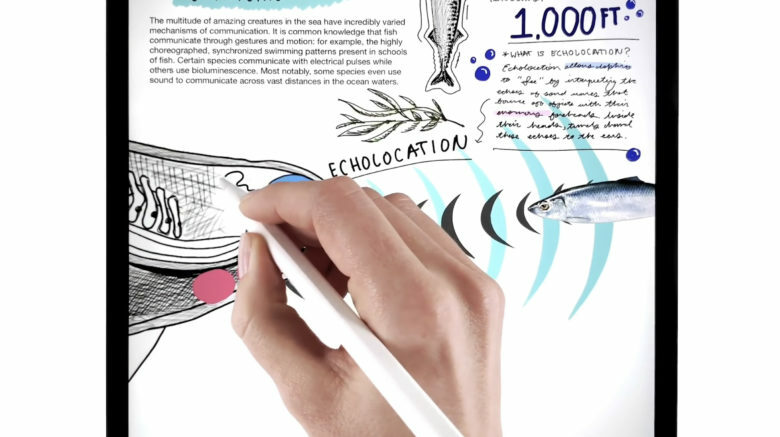 There’s even an Apple Pencil holder. The Dodocase Two Tone is available for a wide range of iOS tablets, including the 2018 iPad Pro models. Prices start at $64.95. A USB-C hub can’t make an iPad Pro into a full desktop but Satechi‘s really tries. A new Satechi USB-C hub designed specifically for the 2018 iPad Pro adds all the the most-useful ports to Apple’s latest tablet. With it, you can add headphones, an external monitor and other USB-A accessories. All in a tiny package. Those who want even ports can choose instead this company’s slightly larger but still slim USB-C hub designed for laptops. This also works with the new iPad. 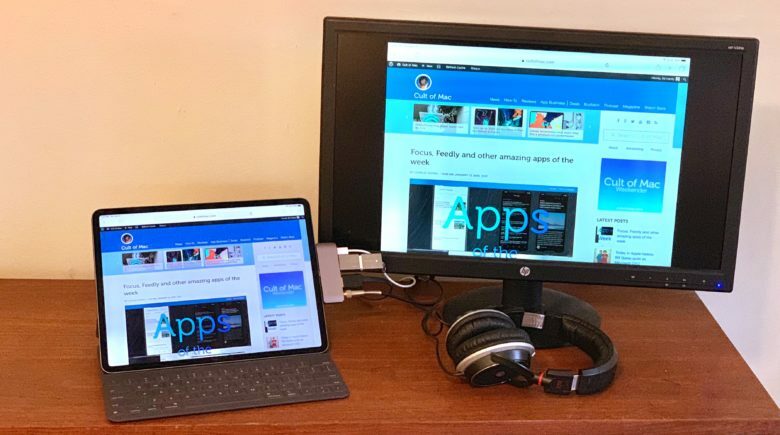 Don’t miss our hands-on review of the Satechi Alumiunium Type-C Mobile Pro Hub, as well as the Slim Aluminum Type-C Multi-Port Adapter V2. Brydge for 2018 iPad Pro makes this tablet into a notebook. The wait for Brydge’s sweet add-on keyboard for the new iPad Pro is almost over. The company today began taking pre-orders for an accessory that fully embraces the concept of turning this tablet into a laptop. 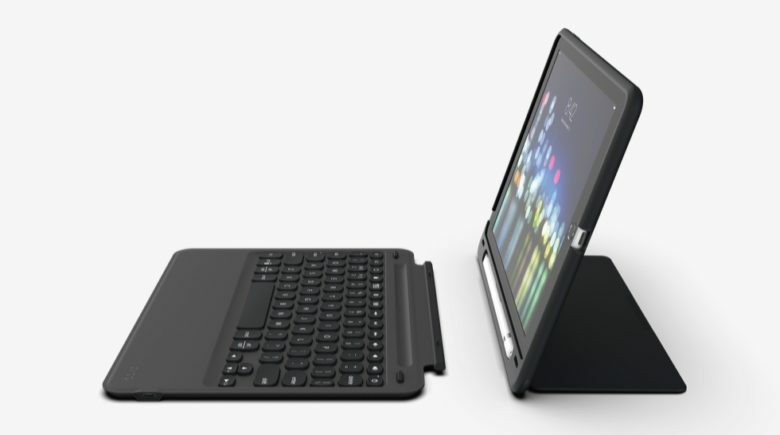 This premium keyboard has an all-aluminum casing and ships with a magnetic cover that protects the back of the iPad. 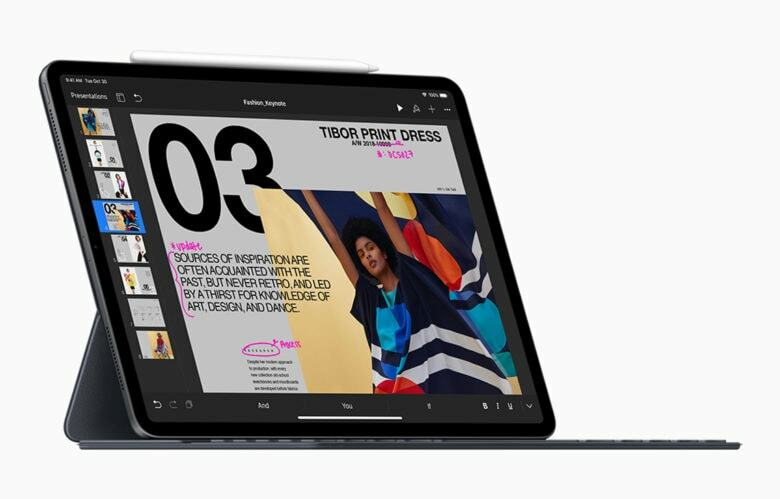 A recent support document from Apple describes a manufacturing process that’s apparently the cause of complaints that 2018 iPad Pro units sometimes arrive new from the store already slightly bent. While acknowledging that this is possible, Apple stands by its earlier statements that its inspection process eliminates any units that are bent more than 0.016 inches. A Zagg Slim Book Go keyboard case for the 12.9- and 11-inch iPad Pro is in the offing. 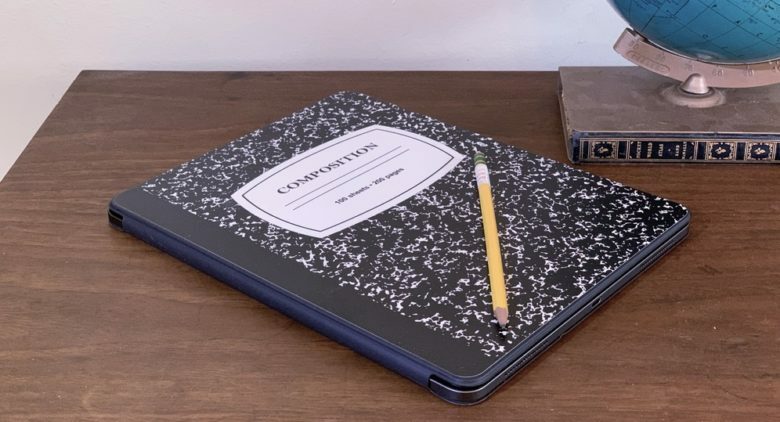 Zagg is using the Consumer Electronics Show to unveil a trio of clip-on keyboards for the newest iPad Pro and iPad models: the Slim Book Go, Rugged Book Go, and Messenger Folio. These range from lightweight to more rugged options. In addition, Zagg subsidiary InvisibleShield launched advanced screen protectors for the 2018 iPads that won a CES award. The Urban Armor Gear Metropolis iPad Pro case was created with the modern wanderer in mind. 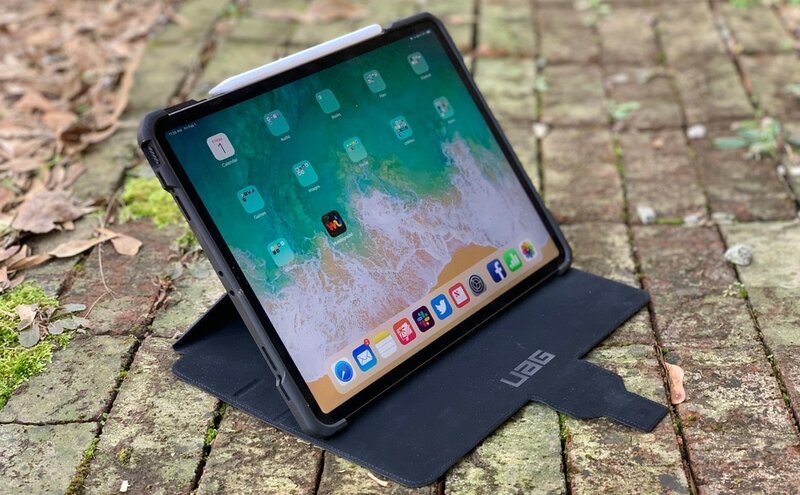 Urban Armor Gear created its new Metropolis case for people who take the 2018 iPad Pro to more than offices and coffee shops. 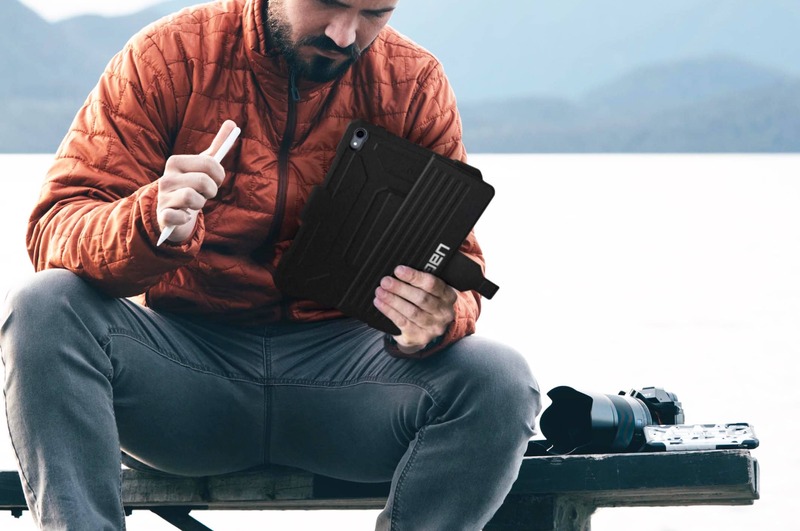 This rugged case protects the tablet from drops and impacts, plus it includes a stand and an Apple Pencil holder.